So you applied for the npower program right? And you choosed npower tech hardware as your area of specialization? Then we have something in common. What do we have in common? I also applied for the program and I also selected the npower tech hardware program. 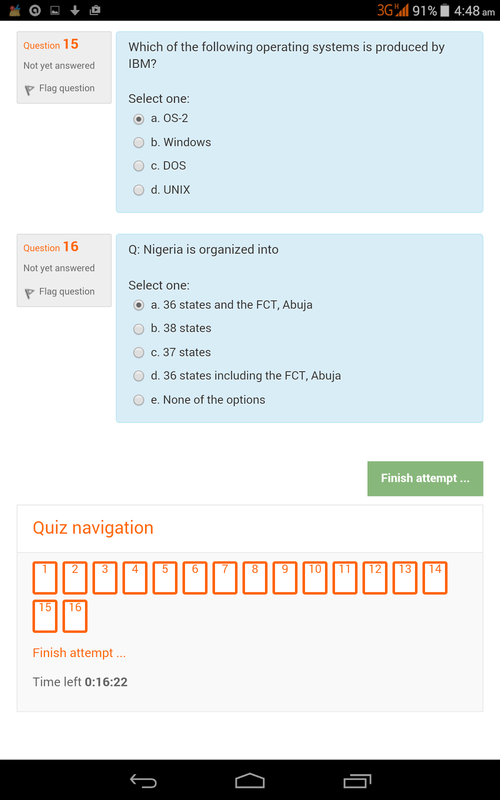 So we can easily say that we "ride in the same boat" or "we are wearing the sames shoe"
While the Npower program started its assessment tests from 20th day of September 2016, (assessessment test started with the npower teach program which was scheduled for 20th - 28th September 2016. Full assessment schedule can be downloaded here: DOWNLOAD COMPLETE NPOWER ASSESSEMNT TEST SCHEDULE HERE), the npower tech hardware assessment test actually started today 13th October, 2016 and will continue till tomorrow 14th October, 2016. The usual method is for participants to be sent an SMS notifying them of their test a day before the test. Because I have cnecked the full schedule before and knew that I was to write today, I started expecting the notification SMS to enter my phone since yesterday. For reasons unknown to me, the SMS did not come. When I woke up around few minutes to 4am, I checked my phone to see if the notification SMS has been sent. I was shocked to discover that there was no SMS notification from Npower. I cross checked the full npower assessment test schedule again and confirmed that I was to write today indeed. 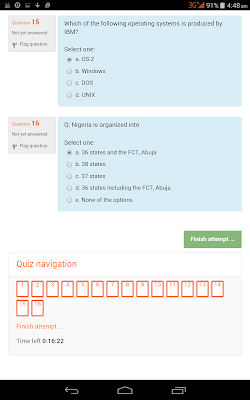 Next thing Idid was to visit the npower website at www.npower.gov.ng and it was clearly indicated that the npower tech hardware assessment test was on as scheduled. Since I did not get the SMS notification, I wondered if it will allow me log in. To my pleasant surprise, I was quickly logged in at the first try. I clicked on the link for take assessment test and next, attempt test. 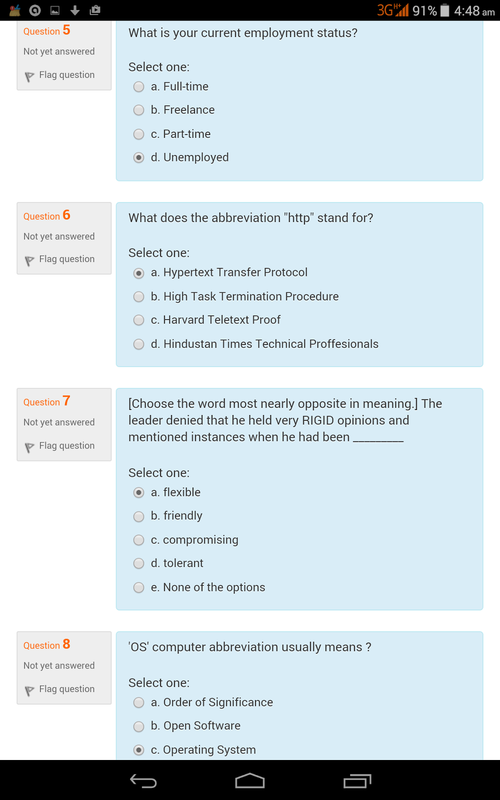 The questions were presented to me and I quickly aanswered them. 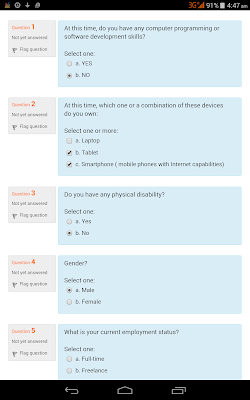 I noticed that unlike the other tests that had17 questions, this npower tech hardware assessment test was just 16 questions. 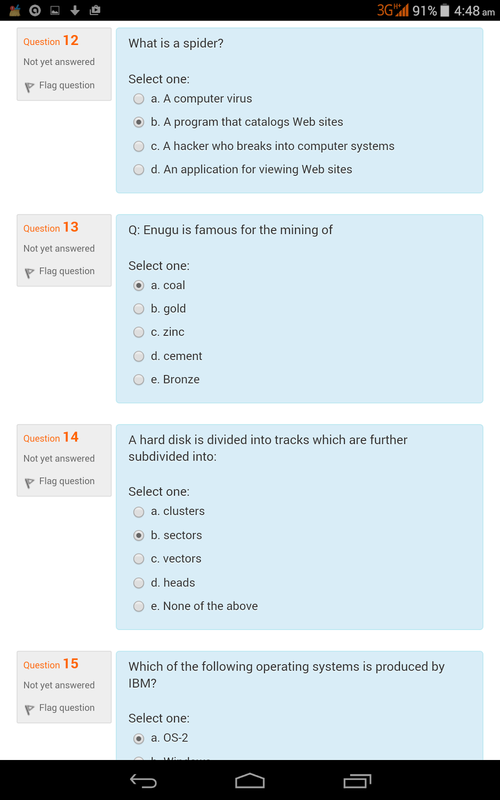 I finished the test in about 3 minutes out of the 20 minutes alloted and went through the questions again to be surw that no witch made me click the wrong answer. 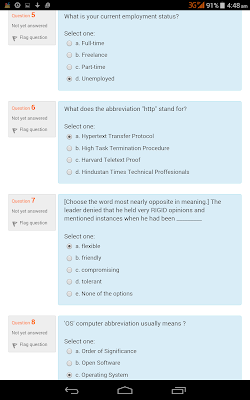 When I was satisfied, I took screenshots of the questions before submission. 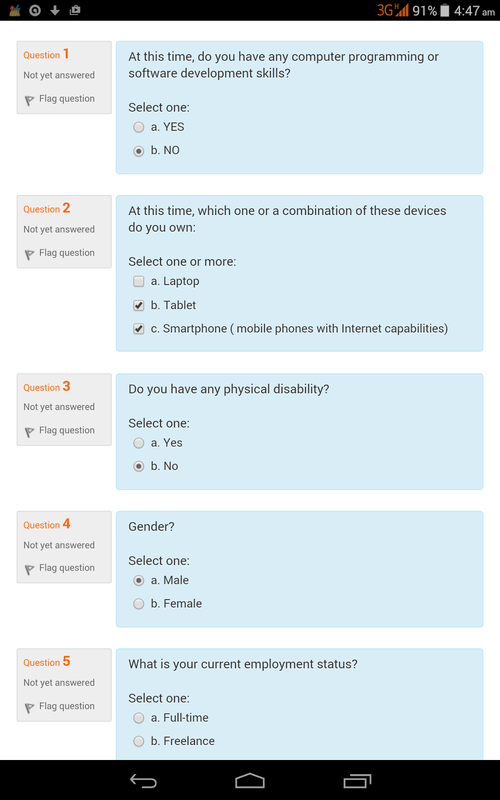 This is the npower tech hardware assessment test questions as I now present them to you.